This election, child care and early learning is a real issue in the party platforms. If you'd like to keep up to date and find out how you can get involved, you've come to the right place. Northumberland View: Who will make the grade on child care? 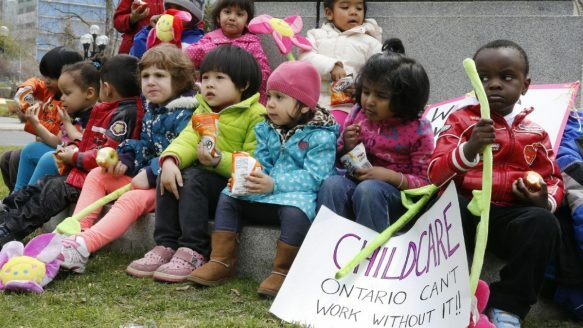 Advocates from across the child care community held a press conference at Queen's Park to focus on child care demands for all three parties in the curent Ontario election. Check back here next week for full video and for election materials.